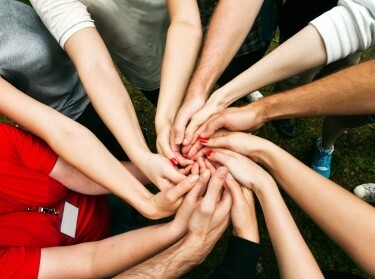 This guide contains an introduction to the key principles of community resilience. It is intended for high school youth (ages 14–18). The introduction is presented through youth-friendly talking points and the use of a scavenger hunt game. Adults who work with or supervise high school youth may apply the toolkit. For example, youth-serving organizations, which are working on community service or community development projects and activities related to emergency preparedness, may employ the guide. The activities are scalable to any group size and can be tailored based on the amount of time available (e.g., from several days of activities to an hour of activities). The research behind this toolkit was funded by a Public Health Emergency Preparedness Grant from the Centers for Disease Control and Prevention and conducted within RAND Health, a division of the RAND Corporation. 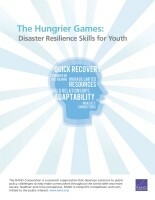 Acosta, Joie D., Vivian L. Towe, Ramya Chari, Lori Uscher-Pines, Clarissa Sellers, and Anita Chandra, The Hungrier Games: Disaster Resilience Skills for Youth. Santa Monica, CA: RAND Corporation, 2015. https://www.rand.org/pubs/tools/TL164.html.